If you are a returning visitor, do not be alarmed. The blog has changed. I updated to the Standard Theme and cannot wait to see what it offers. If you are new to the site, I hope you will enjoy the look and the content of the site. Now, lets dive into today’s content! 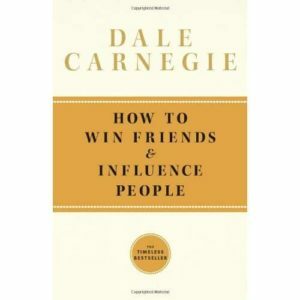 One of the most influential books I have read has to be How To Win Friends and Influence People by Dale Carnegie. How To Win Friends and Influence People was originally published in 1936. Today, it is still highly regarded as a must read book for communicators. How To Win Friends and Influence People has been reprinted many times. The copy I read was published in 1981. With the help of Dale’s wife, Dorothy Carnegie, it has been revised to include more modern examples of people who have applied the principles in the book. If you find differences in my review from the book you have, this may be why. Dale Carnegie gave 9 suggestions on how to read the book. I took suggestion 2 to heart. It was to read quickly through the chapter. Once finished, go back and re-read the chapter slowly. Using this technique helped cement the ideas into my mind. If you read How To Win Friends and Influence People, I highly recommend you follow the suggestion to read each chapter twice. In How To Win Friends and Influence People, I found three principles to be highly effective. Before you have to criticize another person or company, give them something to live up to. Let the person know that they have done a great job in the past and that you know they have it in them to do great things now. By doing this, you give the person something to live up to. I recently was able to use this when I had to contact a company regarding a failing product that was out of warranty. It had been to the repair center once before during warranty. During my conversation with an employee, I let them know how much I appreciated their employer, how good their product was, and that I was impressed by their quality. This set the stage for my complaint. The employee was then open to hearing my grievance. He was also willing to take care of me. He arranged a repair claim and charged me nothing. Giving the employee and his company a fine reputation to live up to helped in getting the repair. Dale Carnegie says that a person’s name is the sweetest sound to a person. Having used and seen this principle in action, I must agree. In a recent post, I mentioned a wedding and reception I attended. The couple and their friend that we dined with knew this principle well. Shortly after meeting us, they were calling us by our first names. They were also calling each other by their first name. They made a point to use first names. Using first names made the conversation flow and feel like we had known each other for some time. It also made my wife and I feel like we mattered to the couple. During youth ministry, I have seen this principle produce great results. We have many students who come and go throughout the years. We run into the students outside of the youth group frequently. When we call them by their name, you can see the joy and pride that comes to their face. There have been many times when using a students name has encouraged them to come back to the youth group. This is a principle that works wonders. As a leader, you may often feel that you have to give a direct suggestion on how to correct someone underneath you. This can cause resentment and still not solve the issue. Instead, we should ask questions. Let me tell you of a way I have implemented this principle and the results it brought. At the beginning of our youth group services, we have a time of praise and worship. There are plenty of students who like to chit chat during this time. However, it is disruptive to other students. Previously, I would approach the student and tell them to be quiet. This approach rarely worked. Once you walked away, the student would start to talk again. Instead of telling the student to be quiet and sing, an approach I have been taking is to ask them why they are talking. Once we have come to the root of the issue, we settle on a resolution to not talk during this time. This helps the student from being a distraction and giving the other students a more enjoyable experience. These are but three of the great principles I was able to take away from How To Win Friends and Influence People. Each chapter in the book contained multiple principles. This kept me excited to pick up the book and find out what was coming next. Regardless of its age, How To Win Friends and Influence People contains strong and valid principles that all leaders should have. It is a book that am reviewing at least annually to keep the principles fresh in my mind. 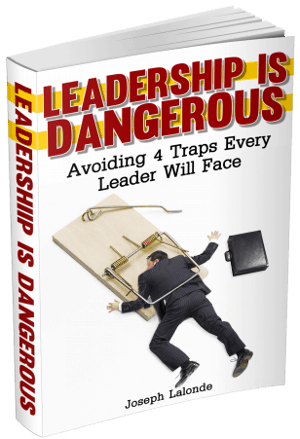 If you are a leader, it is one of the books you must have on your bookshelf and review frequently. Question: What is your favorite principle from How To Win Friends and Influence People? Please share your answer in the comment section below.